The bandana bibs had the most designs to choose from and I loved the designs of the bandana bibs the most. 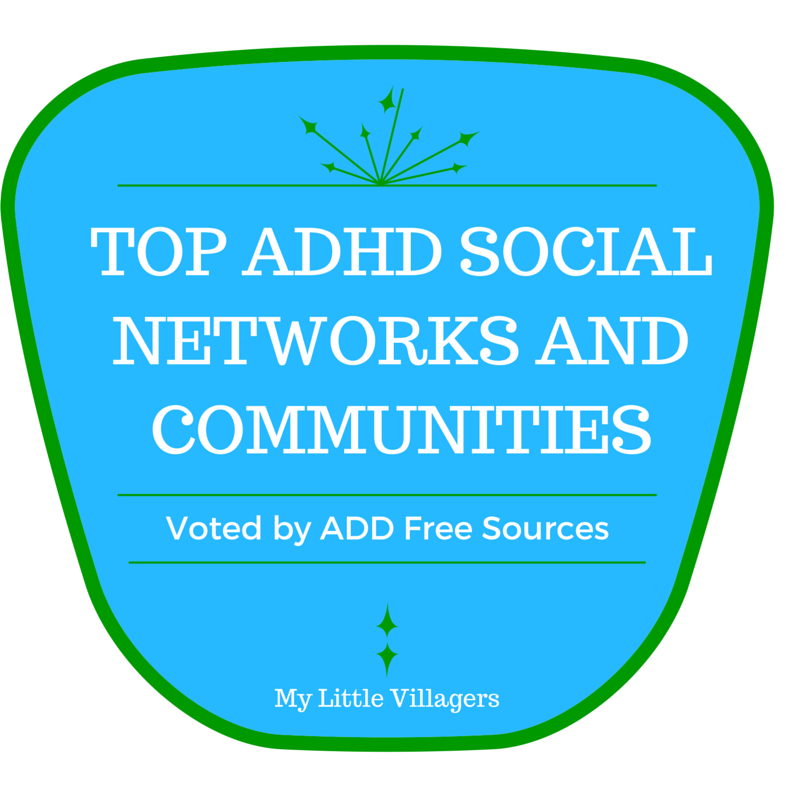 My favorites were the ladybugs and pink birds designs. 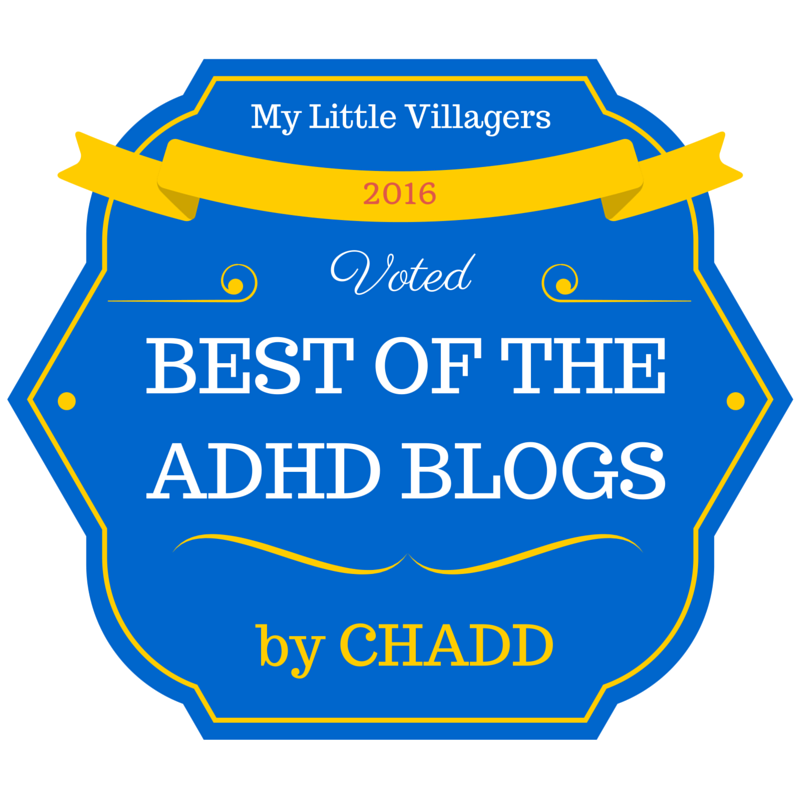 Unfortunately, my “babies” are no longer babies, so the bandana bibs wouldn’t fit them. If I had a baby though, I’d be all over these! 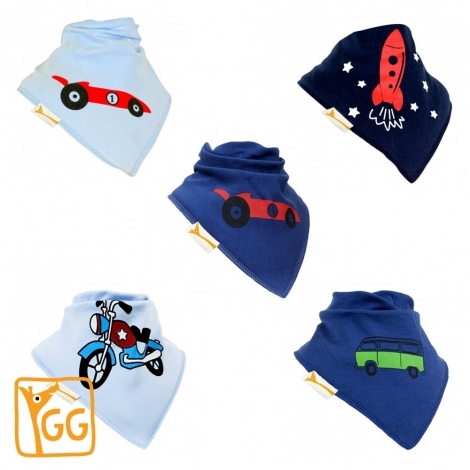 Groovi Gee offers sets of their adorable bandana bibs (5 for $20 or 10 for $35 – very reasonable! ), which are great for shower gifts. 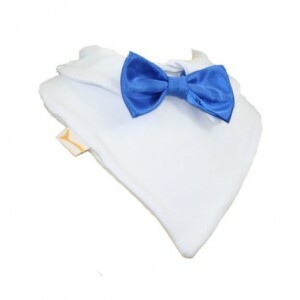 Special occasion bandana bibs are also sold at Groovi Gee, which are perfect for babies to wear at formal events, like Baptisms, Christenings, weddings, and holidays. They are made of satin and come in a variety of colors. The girl bibs have a rose on them and the boy bibs have a bow tie or a tie on them. So adorable! 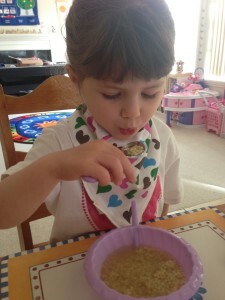 I had my kids use their new bibs when they had soup. Since the bibs don’t provide as much coverage as we are used to with previous bibs they have used (Ex. Baby Bjorn), I was pretty sure the soup was going to get on their shirts. Much to my surprise though, not a single drop got on their shirts! It only got on their bibs! Washing the bibs was a breeze too. I just tossed them into the washing machine with their regular clothes and tadah, they were good as new! 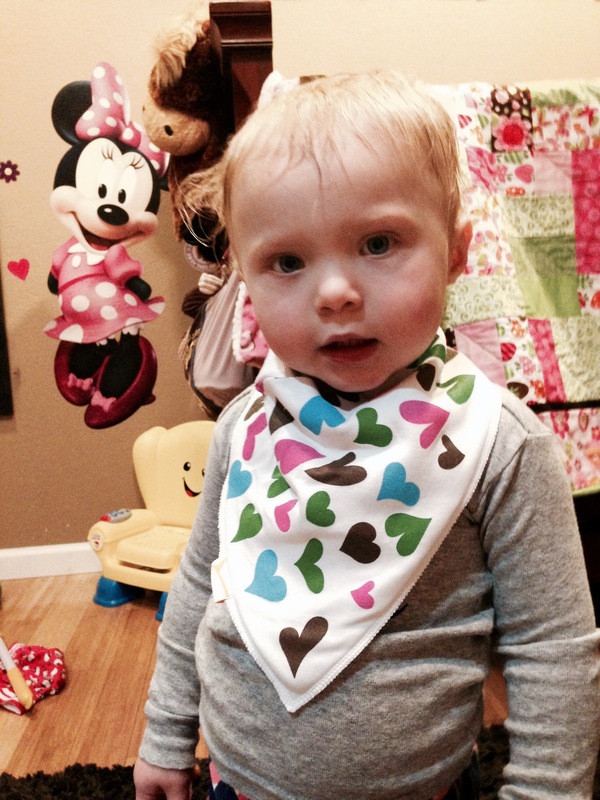 The bibs are made out of jersey cotton and are super soft, gentle, and quite absorbent. In the past, the backings of bibs have irritated my children’s neck, but Groovi Gee bibs use nickel-free poppers instead of velcro or hard buttons. The Groovi Gee bibs didn’t bother their delicate skin at all. Since my children are older, I wanted to see how the bibs did on someone younger before I recommended them to parents of babies. I let my one year old niece give the bibs a try. Although it seemed to bunch up a bit under her chin, the bibs worked great for her as well. (She loved wearing the bib with the hearts on it the most.) Her mother agreed that the bibs were of great quality and super cute. Babies, children, and even adults in the UK, Italy, Spain, France, and Australia have been enjoying Groovi Gee’s bibs and now luckily for us here in America, Groovi Gee has launched a new website just for us, so we can enjoy them too. So what are you waiting for? 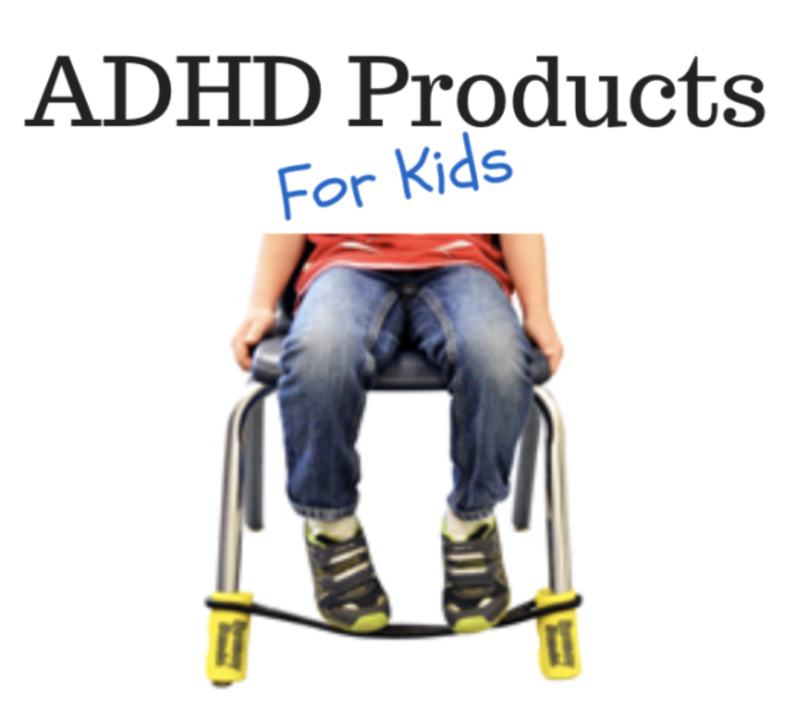 Become a “groovi” mom and check out out Groovi Gee!